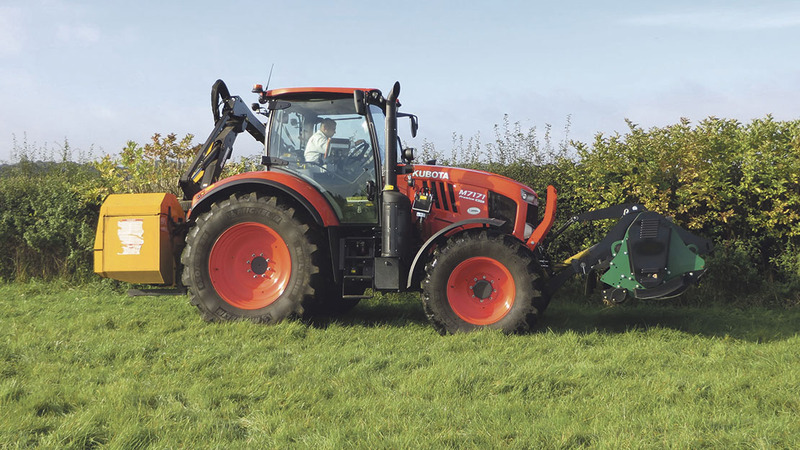 Kubota extended its tractor range into the 130-170hp recently with the M7001 series. Jane Carley finds out how a contractor is getting on with the flagship M7171. 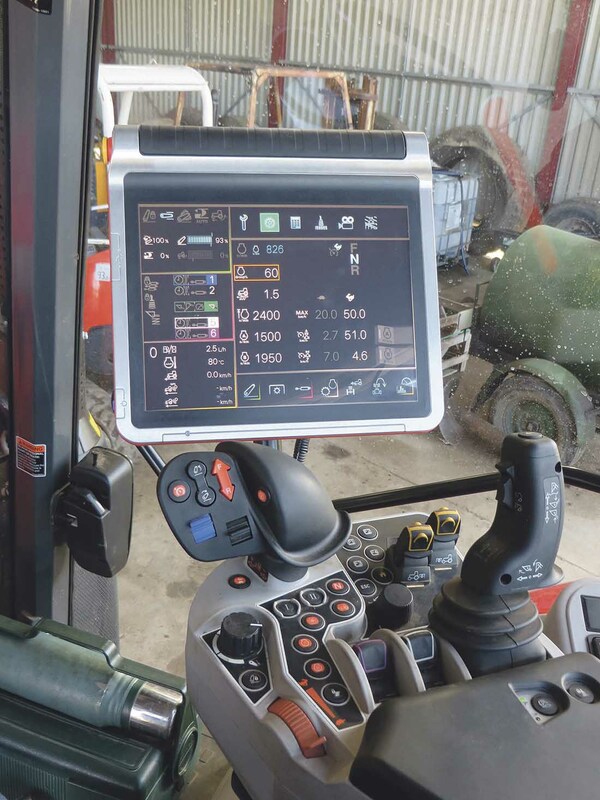 Taking on a newly launched tractor always brings an element of risk, particularly for a contractor, who is very much working in public and can afford little downtime. 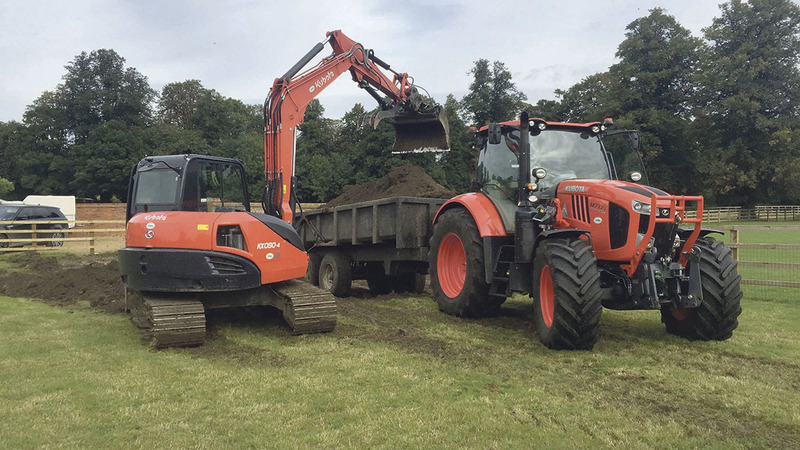 James Jolliffe’s purchase of two new Kubota M7171s appears to be a leap of faith, but there is no doubt he has done his homework. Mr Jolliffe purchased two M7171s after being impressed by prototype models working in Germany. He says: “We are based half a mile from Kubota dealer George Brown, and have a number of other Kubota machines in our fleet, including excavators and compact tractors, so we know we can rely on the back-up. Determined not to go in blind, Mr Jolliffe and his foreman Ben Farnell took a trip to see the M7001 series prototype working in Germany. Take a look at our test of the Kubota M7171. 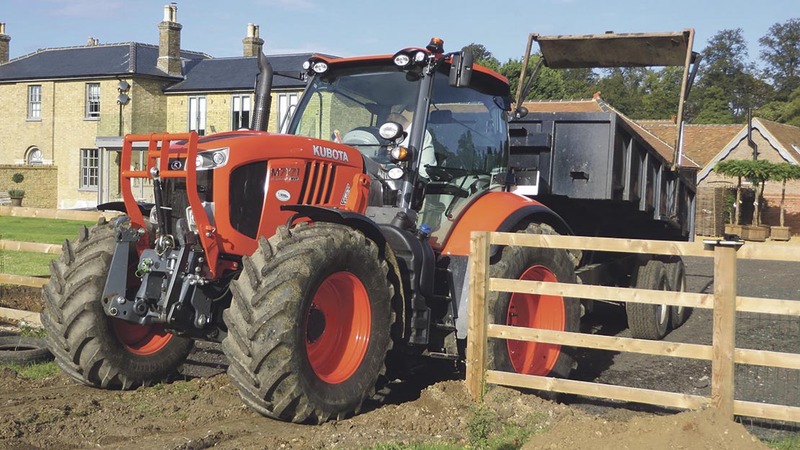 Contractor James Jolliffe has purchased a pair of Kubota M7171 tractors for use on a diverse range of tasks. 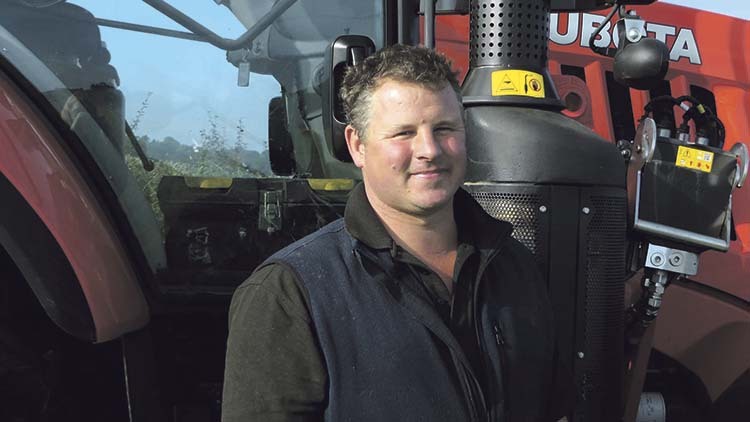 Mr Jolliffe runs a specialist contracting business, offering niche services for farms, equestrian establishments and large properties, ranging from hedgecutting and fencing to laying tracks, drainage and ditching. The work is mainly close to his base in Berkhamsted, Hertfordshire, although one-off jobs can take his team as far as Gloucestershire and Northamptonshire, with plenty of road travel always needed. He says: “Our busiest time is from September to February, and one tractor can be taken up with hedgecutting for 10-12 hours a day in that period. 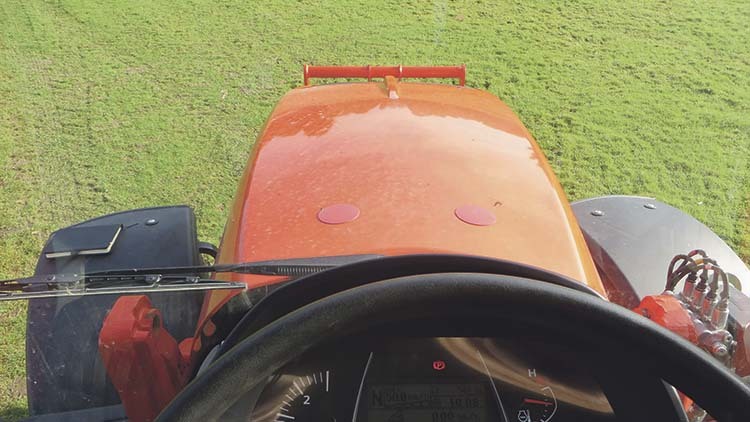 Good visibility makes the tractor ideal for work in confined spaces and for precise work such as hedgecutting, points out foreman Ben Farnell. 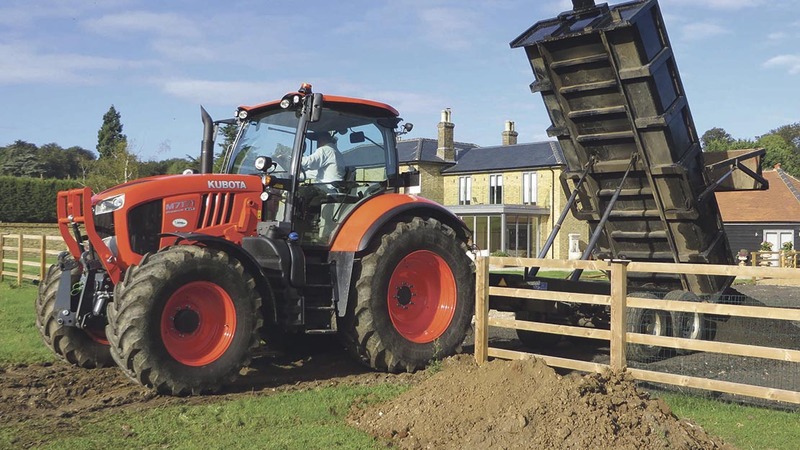 Given the workload intensity, another major selling point was Kubota’s five-year warranty, which Mr Jolliffe has topped up to 5,000 hours from the standard 3,000. He says: “We do not want to face big repair bills or have a tractor out of action. We would normally run them for 5,000 hours, but may trade these in at 4,500 hours so the dealer can sell them with the balance of the warranty and boost resale value. The four-cylinder tractor handles a telescopic hedge-cutter and heavy duty front flail with ease. The M7171s have been specified with front linkage and pto to allow a heavy duty Spearhead front flail to be fitted and work in conjunction with a McConnel telescopic reach arm if required to cut grass margins and hedges at the same time. Both are fitted with loader brackets to allow the Kubota loader to be swapped between them and even out working hours. One departure from the mechanical transmission used on the Valtras is the use of Kubota’s KVT, continuously variable transmission, which can be controlled via pedal or joystick. A solid back end and plenty of lift capacity are among the qualities praised by Mr Jolliffe. Mr Farnell adds: “It is so easy and smooth to use on the road, especially when the cruise is set. The good balance and solid back-end of the four-cylinder-powered tractor mean it is more than up to lifting the powerful hedgecutter, even without front weights, suggests Mr Jolliffe. Mr Jolliffe has specified the 12in K Monitor terminal, said to be logical and easy to use. He says: “I also like the large terminal, which is very logical and easy to use. You could put someone who has never driven the tractor in the cab if necessary and they could take it down the road. As contractors, they have found the tractors have attracted plenty of attention from customers. A large, airy cab and good all-round visibility for hedgecutting from one-piece glass doors and narrow mudguards were among the first features Mr Farnell noted on the German prototype.